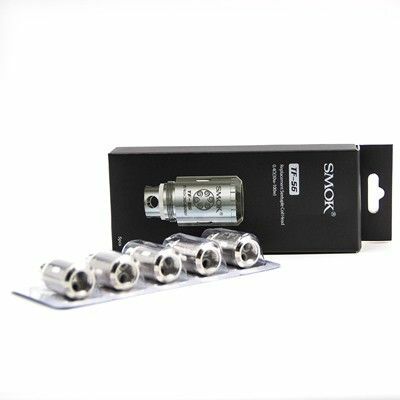 The Smok TF-S6 features patented sextuplet coil head coil head and separate chamber design, which significantly improve airflow production, heat insulation, and maintain robust flavors of today's top juice. The sextuplet coil head coil features dual parallel version of the triple coils, capable of delivering unprecedented turbulent clouds. Engineered to add versatility to Smok TFV4 Tank and SMOK TFV4 Mini tank, it works perfectly with Smok X Cube II and compatible box mods. These advanced atomizers are constructed with superior stainless steel encasing the base of Kanthal heating wires and 100% organic cotton, with minimum resistance of 0.4ohm and fire up to 100 wattage.